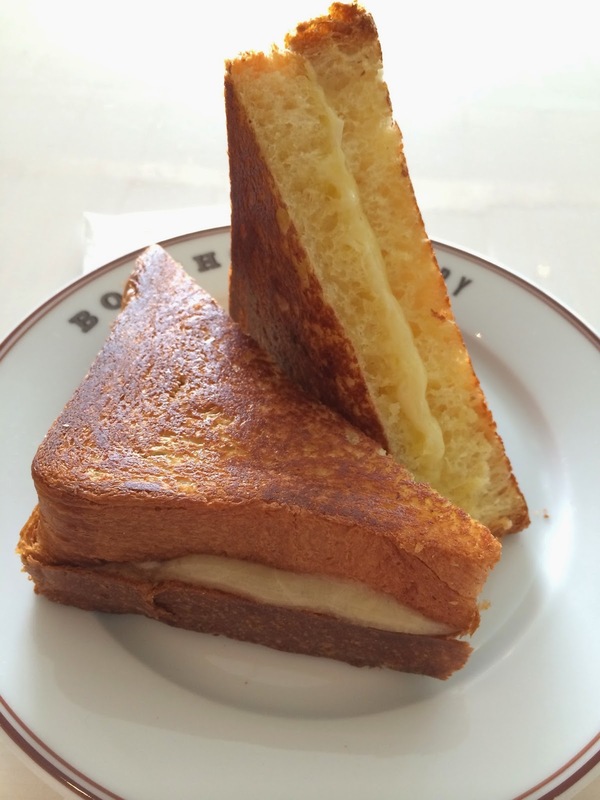 After having Papaya King's hot dog, I was still hungry and wanted to get a grilled cheese sandwich, and I went to Time Warner Center that has a Bouchon Bakery serving grilled cheese according to some research I did. Bouchon (a.k.a. 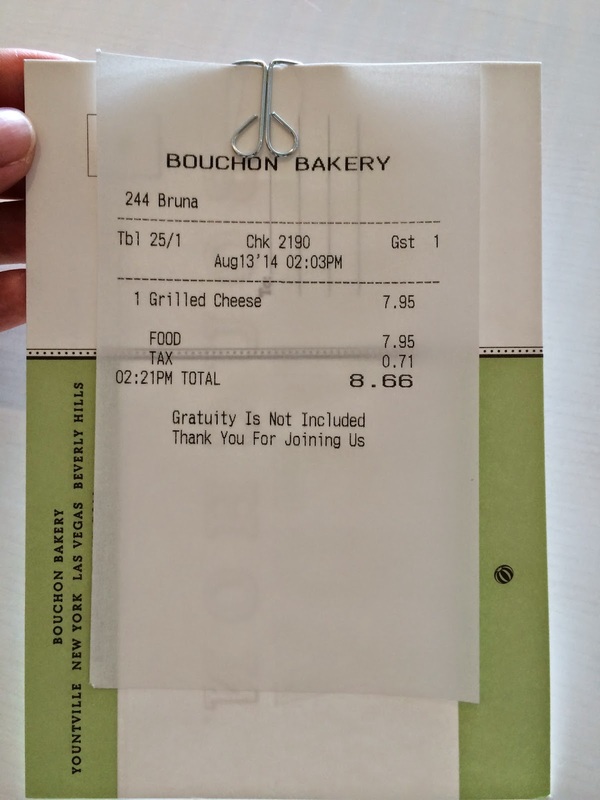 Bouchon Bistro) was founded by an American chef Thomas Keller in 1998 in Yountville, California. 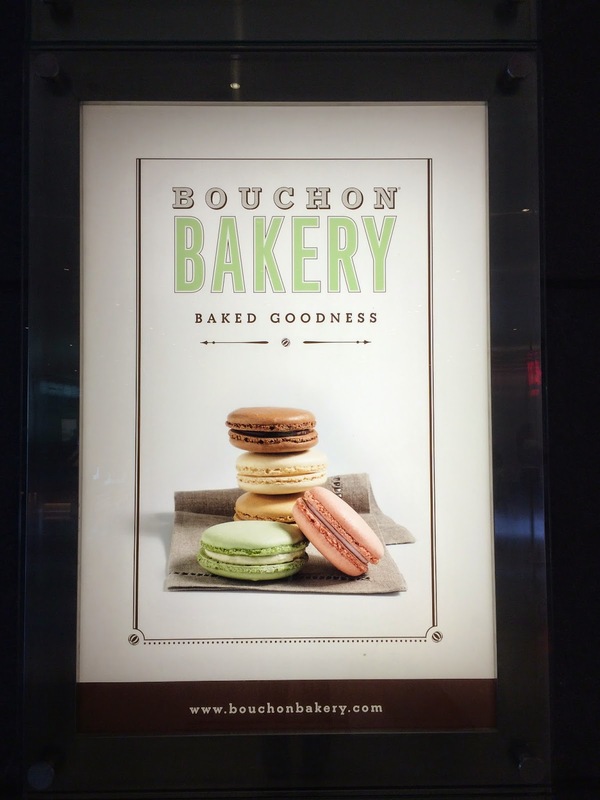 And Bouchon Bakery is a casual theme cafe with lower priced dishes expanded from the French restaurant. 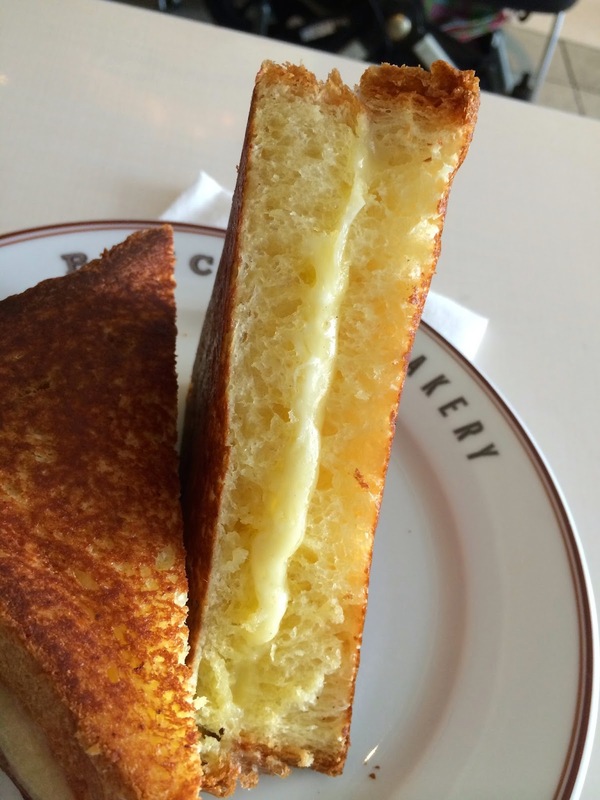 I wanted to make sure they had grilled cheese, so I asked a receptionist and she said both cafe and bakery serve it, and I wanted to sit and relax, I chose a table in the cafe. There's a counter table with about 6 chairs by the bar. 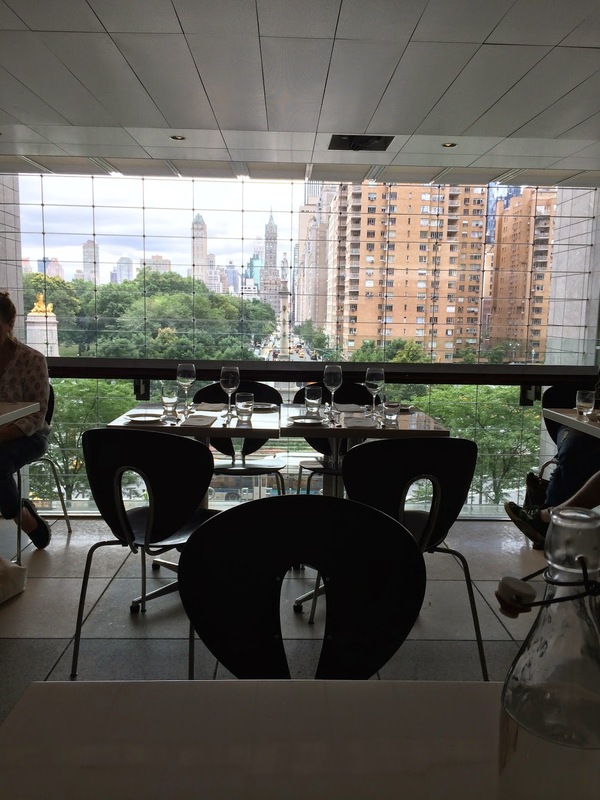 The table where I sat down was facing to Columbus Circle and Central Park South (W59th street). Menu was and water were brought, but I didn't see grilled cheese in the sandwiches section, so I asked a waitress if they had any, and she said, "It's not on the menu but we can make." 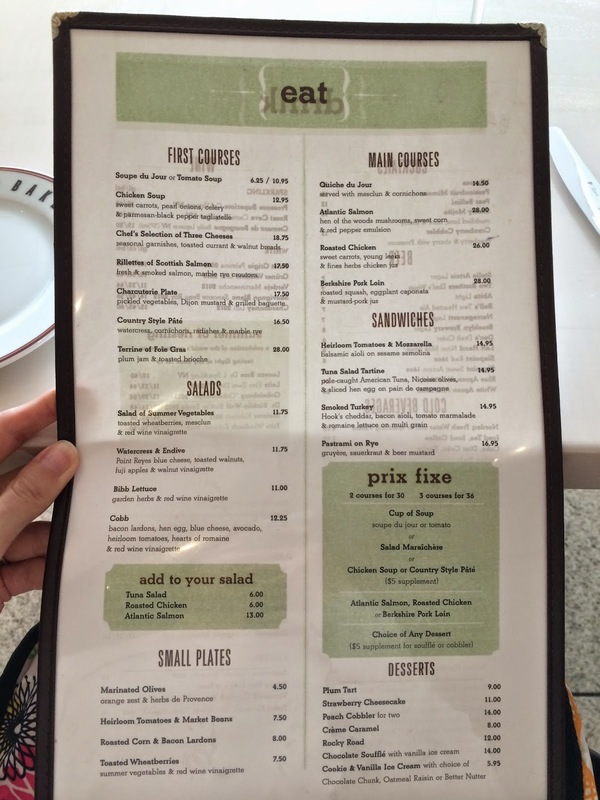 If they had the item, it'd better be put somewhere or at least said when they brought the menu otherwise how would I know? And she didn't say what kind of cheese they used, so I had to ask again, then she said, "It's fontina and gruyere." I ordered one not knowing the price and the type of the bread they use while I was a bit scared how much it would be as all the dishes were high-priced. Not mentioned any grilled cheese on the menu was already skeptical so that other unclear sources made me nervous, too. In about 5 minutes or so, the grilled cheese was served. 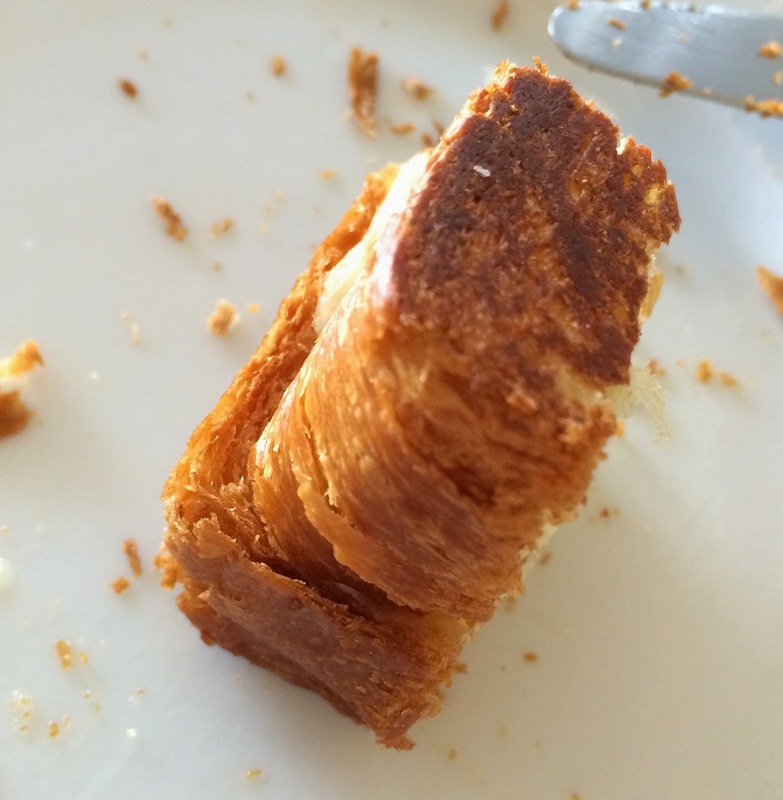 They used thick sliced brioche. The pale yellow bread was soft inside and the surface was evenly browned. It's about 2cm (0.8 inch) thick, bouncy, and buttery. 2 kinds of cheese were both melted but not stringy and the cheese stayed in place. 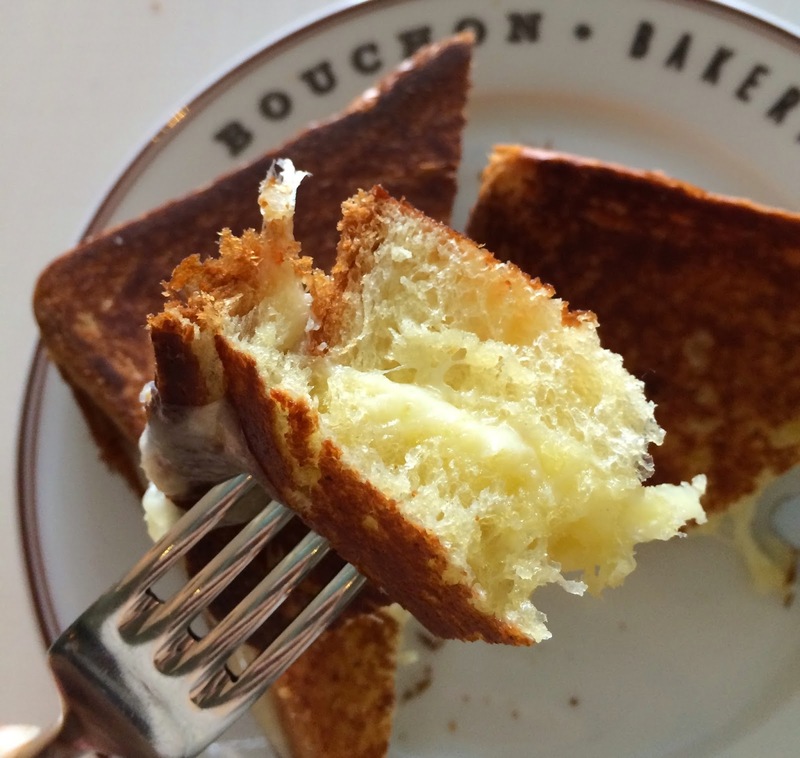 Brioche was really flavorful, sweet and rich in butter, thus these plain and not-too-characteristic 2 kinds of cheese were matching very well. Crust was fragile, light, and flaky like pie crust. It's not really a classic grilled cheese, but this one was tasty, too. When I got a check, I was actually relieved it's not that pricey. It's been a while since last time I saw a visible notice "gratuity is not included."